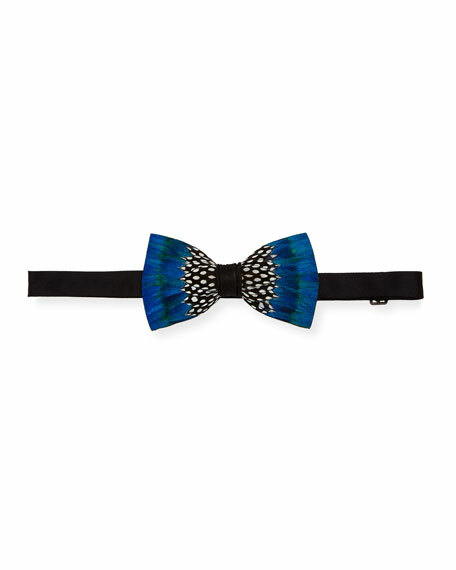 Brackish Bowties peacock and guinea feather (USA) bow tie. 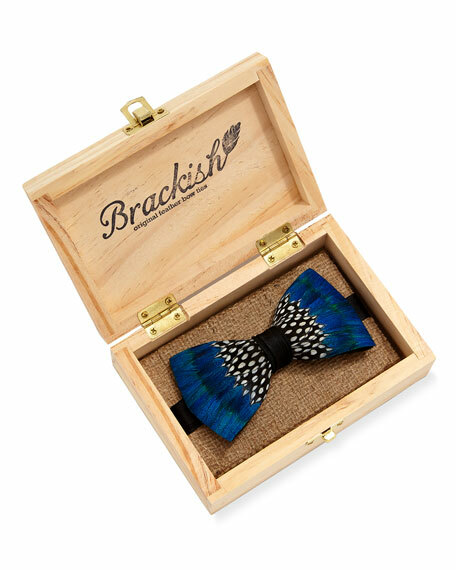 Brackish Bowties "Kruger" bow tie with natural turkey, pheasant, and guinea feathers (USA). Wrap-around adjustable hook. Slight color variation because of handpicked feathers; design is same. Packed with care instructions and wooden box in burlap. Approx. 2.5"H. Made in USA. EXCLUSIVELY AT NEIMAN MARCUS Ermenegildo Zegna bow tie in solid satin. Adjustable fit. Self tie. Dry clean. Silk. Made in Italy.